Updated on 12/17/18. TracfoneReviewer is committed to sharing the best and most accurate information for our readers. Over the several years, Tracfone has included a number of Android and Apple powered smartphones in their lineup of cell phones. Tracfone provides both cell service and phones at a low cost and sells airtime cards with varying minute amounts (60, 120, 200 etc.) that users can buy and add to their phone. When the minutes are added, the phone then uses those minutes when you call or text. You also get a certain amount of service days (in most cases 90) with each card. This system where users can buy minutes only when needed helps to make Tracfone service very inexpensive for people who don't use their phones very often. Some Tracfone devices also come with double or triple minutes for life, meaning you get double (or triple) the minutes when you add a new card. However, Tracfone has made Changes to Triple Minutes for Life and you can learn more by following the link. One of the changes to triple minutes is that most new smartphones from Tracfone do not come with this bonus. However, Tracfone now offers a number of smartphone only airtime cards that come with a significantly greater amount of airtime compared to regular airtime cards. Let's start by looking at smartphone only cards. Tracfone offers two types of airtime cards - 'regular' cards and 'smartphone only' cards. Regular Airtime Card - Airtime values of 60, 120, 200 etc. and most cards come with 90 days of service. Can be added to any Tracfone device and can triple. Smartphone Only Card - Each card comes with a specific amount of Talk/Text/Data such as 500 talk minutes, 1000 texts and 500 MB data on the $25 smartphone card. These cards can only be added to smartphones and can not triple. So the main differences between these cards is that smartphone cards come with more airtime, do not triple, and can only be used with smartphones. When adding a smartphone only card you will get exactly the amounts listed on the card (unless you also use a promo code!). 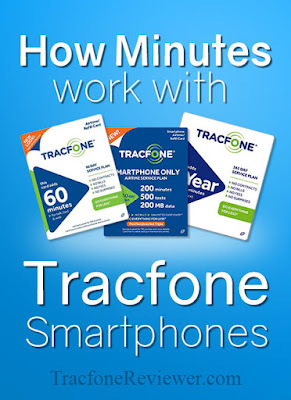 Learn more about smartphone cards vs regular cards with our Guide to the Best Deal on Tracfone Minutes. Now that we've covered smartphone only cards, we will look at some important differences for how regular airtime cards work with smartphones. With Smartphones (which includes both those from Tracfone, and BYOP devices), the way minutes from regular airtime cards are credited to your account is a bit different than how things worked for older 'dumb' phones. For older phones like the LG 840G, when you added a 60 minute card, you would get it tripled to 180 minutes which you could then use for talk, text and surfing the web. For smartphones, Talk, Text and Data are split up when you add the minutes. So if you add a 60 minute card, you will get it tripled (in most cases) to 180 minutes, and then this is split up into 180 minutes for talking, 180 texts, and 180 MB for web. Non-Android phones use one 'pool' for minutes. Android phones use three separate 'pools' for talk, text and data. Once the airtime is split into these different pools, you can't transfer it from one 'pool' to another. For most people an Android phone is a great deal because you get the same number of minutes for talking, while also receiving texts and data. But there is an important difference that makes this not a great deal for everyone. For a non-Android device, each text costs 0.3 minutes. So with 180 minutes, you would get 600 texts. On an Android phone, each text is 1 text (because texts are their own 'pool'). So with 180 minutes, you would get 180 texts (you would also still have 180 minutes for talking, and 180 MB of data). But there is a solution. Tracfone now offers text refill cards ($5 for 1000 texts), and they also offer Smartphone-Only airtime cards that are a much better deal for most people. We've done a Comparison of Smartphone Airtime Cards vs. Regular Airtime Cards and found some very interesting results, so take a look if you want to find what card is the best deal. The text refill card is an easy way to reload your phone if you get low on texts. And at only $5 for 1000 texts, that's just half a penny per text, so a very good deal. Read our guide on How to Add Texts to your Tracfone Device for further details. If you are a heavy texter but want an Android phone, look into downloading apps that text for free. Simply visit the Google Play Store and search for 'free texting apps'. See all the newest devices from Tracfone with our Latest List of Tracfone Smartphones. For those who don't want to switch to this new minutes system, phones like the LG 840G we mentioned above, the LG 306G, Moto EX431G, and Samsung S425G still use the one pool system for minutes (and all of these phones have Triple Minutes). We've noticed a number of readers who have questions about how Triple Minutes for Life works with the smartphones, and especially the new smartphone airtime cards. 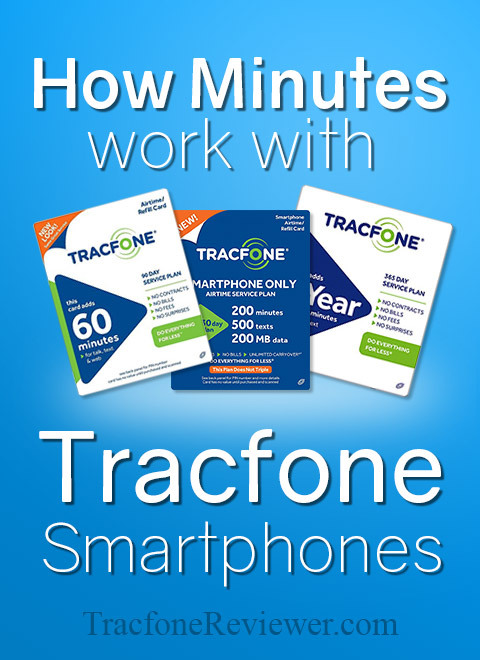 There have been some recent changes to Triple Minutes for Life from Tracfone, and we've outlined them in our post, Tracfone Changes Triple Minutes for Life. Tracfone Smartphones released after April 2017 may not include Triple Minutes for Life, where as older smartphones will still have triple minutes. Newer SIM card kits also do not include Triple Minutes for Life for BYOP phones. This is disappointing to many, but the Smartphone only airtime cards did not triple anyway, and are generally a better deal for most users. This is a question many are asking, because there is no automatic location on Tracfone smartphones for accessing your current minutes balance like there is on non-Android phones. We've created a full guide with 4 ways to Check your Airtime on a Tracfone Smartphone or you can continue reading below. But there is an easy way to check your balance. Simply sign into your account at Tracfone.com (or create one of you don't already have one) and go to your account page. You should see your phone listed there, and one of the options will be to check your current balance. Click this and after a few seconds you should see what your remaining balance looks like. Or simply download the Tracfone App which allows you to see your service end date and balance. That concludes this guide to how minutes work on Android phones. We hope you found this useful, and leave a comment with questions or thoughts. Find us on Facebook with a growing community of helpful people. Be aware that Tracfone Promo Codes don't work on Android phones, so this is also a small downside of the new smartphones. 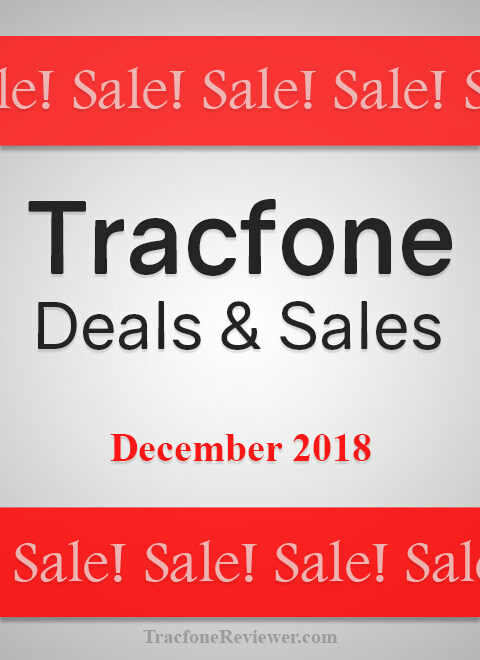 Check out the latest and greatest sales, deals and discounts on Tracfone devices and minutes for some huge savings we've found around the internet! Tracfone offers a wide variety of phones through a number of different retailers with many of them available online as well. It can be hard to shop for a new phone and find the best deal with so many options so we find the best prices and share them here. Below are some of the latest phones available for Tracfone at the best prices we could find online. Prices can change quickly so act fast if you want the deal. We share both Tracfone devices and deals on unlocked smartphones that can be used with the BYOP program. Keep up with what phones are new from Tracfone with our Latest List of Tracfone Smartphones. Now let's see the deals. The Rebel 4 is the latest phone in the Rebel lineup and features a 5" touchscreen, Android 8.0 Oreo, 16 GB Storage and 2 GB RAM. It also has an 8 MP rear camera and quad-core processor. It is a popular budget smartphone with a screen on the smaller side compared to most devices. See the full details and specs in our LG Rebel 4 Review. Another budget friendly smartphone option, the Moto E5 has a large, 5.7" touchscreen, Android 8.0 Oreo, 16 GB storage, 2 GB RAM and quad-core processor. It also has very long battery life thanks in part to the large, 4000 mAh battery included. See all the features for this phone in our Moto E5 Review. Finding the balance between performance and price, the Moto G6 from Tracfone has a 5.7" touchscreen, octa-core processor, Android 8.0 and dual rear cameras. It also has 32 GB internal storage and 3 GB RAM which is uncommon for Tracfone devices in this price range. See the full list of features and specs in our Moto G6 Review. These are some of the best prices we've seen on Tracfone devices, and now we have found a few unlocked deals to share as well. Featuring a 5.2" screen, the Moto X (4th Gen) is a powerful smartphone first released in August 2017 that is now available at a great price. It also has Android 8.0 Oreo, dual rear cameras, octa-core processor, 3 GB RAM and 32 GB storage. If it is a large screen you need, the Stylo 4 has a huge, 6.2" FHD touchscreen with 18:9 ratio, octa-core processor, 3 GB RAM and 32 GB internal storage. Tracfone also offers a version of the LG Stylo but it only has 2 GB RAM and 16 GB storage for a similar price. The Unlocked Stylo 4 also features USB Type-C fast charging, Android 8.1 Oreo, and a stylus pen. That concludes the list of deals for now, but we will update as we discover more low prices and be sure to leave a comment below with your thoughts or questions, or deal alerts. Also join us on Facebook for the latest updates and for a helpful community of Tracfone users. Get the latest Tracfone Promo Codes for both regular and smartphone only airtime cards and get free minutes when you add airtime to your phone. Finally, don't miss out on our Christmas Gift Guide for 2018 with all the best holiday gift ideas for cell phone users! Temperatures are dropping, Christmas music is playing, and we've got new promo codes for December to unwrap! These codes are just the most recent released for December but we have many more options to try on our main Tracfone Promo Code page. 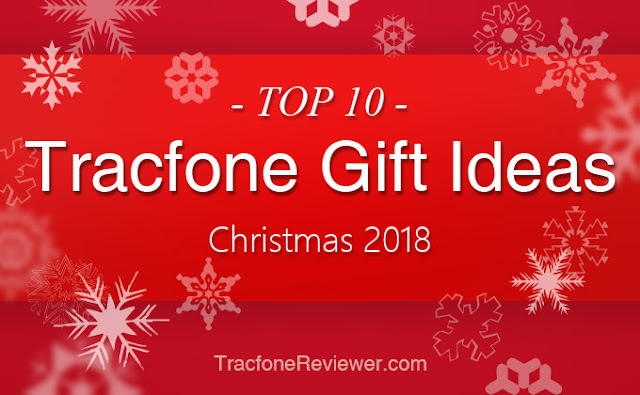 With the holidays approaching don't miss out on our Tracfone Gift Guide with 10 ideas for any cell phone user. And keep up with all the new phones in our Latest Tracfone Smartphones List. Now let's get tot he codes. 1 Year/400 Minute Card use 95322 for 500 extra minutes for free! Those are the latest codes for Tracfone. We hope these codes work for you and leave a comment below with any thoughts or questions. Keep up with all the news and updates by joining us on Facebook with over 3000 followers and you can even send us a message with your specific questions. See 7 Tips to Make Your Airtime Last Longer including ways to make your data not disappear. Don't miss the best Deals and Discounts on Tracfone Devices and Minutes from round the web. And finally, learn 4 Ways to Check your Tracfone Airtime Balance plus a couple bonus ways. 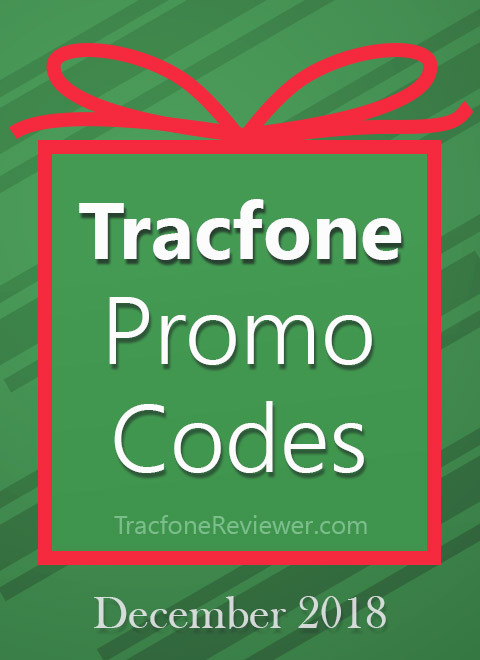 Welcome to TracfoneReviewer, with news, reviews and Tracfone promo codes! Christmas is almost here which brings holiday lights, eggnog and friends and family together. It is also a time where we must find gifts for everyone on our list, and that can be a real challenge! But we've got plenty of ideas with our annual Christmas gift guide 2018. In this list we share some great Tracfone related gift ideas, and more general smartphone accessories and options for almost anyone to enjoy and use! If you are new to Tracfone or not sure how it works exactly, be sure to visit our Beginners Guide to Tracfone. Now let's see the gift ideas for 2018! Browse these 10 ideas to help find gifts for everyone on your list! Christmas is a great time to get someone a new smartphone, or even their first cell phone. And Tracfone has recently released a variety of new phones with the latest Android OS (8.0 Oreo) and a number of other great features for $100-200. The Rebel 4 has a smaller, 5" screen, quad-core processor, 16 GB storage and 2 GB RAM. It is a great option for people who prefer a smaller device and are low to moderate users. It might be a good option for first time smartphone users and it has been found for as low as $50 in some cases. Learn more about the LG Rebel 4 in our Review. Another phone with a 5" screen, the J3 Orbit also features an Octa-core processor, 16 GB storage and 2 GB RAM. The Orbit is a great all-around smartphone with signature Samsung design elements including a matte black back and relatively small screen bezel. See the full specs and more in our Samsung Galaxy J3 Orbit Review. For those looking for a larger screen, the Moto E5 packs a 5.7" touchscreen, Quad-core processor and 16 GB storage with 2 GB RAM. It also has excellent battery life and is available for just over $100. It is a great option for new smartphone users or as an upgrade from an older devices as it offers good performance at a reasonable price. Learn more about the Moto E5 with our Review. Long awaited by Tracfone users, the Moto G6 has a 5.7" full HD screen, Octa-core processor and 32 GB storage, 3 GB RAM. The additional storage and RAM make this phone great for everyday users who want to load a variety of apps and media onto their phone. The G6 is a solid balance between performance and price, retailing for around $200. See all the features and more in our Moto G6 Review. Although you can now get the Moto G6 through Tracfone, the unlocked version has a few benefits such as, it will work with either GSM or CDMA networks and it will receive OS updates. It basically gives the user a little more control and flexibility. As for specs, the Moto G6 has a 5.7" screen, Octa-core processor and 32 GB storage/3 GB RAM. See the full specs and details in our Moto G6 Specs and News listing. Made from a single block of aluminium, the Nokia 6.1 brings some very nice finishes at a budget friendly price. It has a 5.5"full HD touchscreen, Octa-core processor, 32 GB storage and 3 GB RAM. It has dual SIM card slots and is compatible with GSM networks like AT&T and T-Mobile. There are lots of other great unlocked phones that will work with Tracfone and to learn more visit our Tracfone BYOP page. It is always a smart idea to keep your smartphone safe with a case or cover for it and there are many different options online from simple silicone covers to waterproof housings. You can also get some really unique case with specific designs and colors. The easiest way to find a case or cover is to search on Amazon your cell phone name and see what options are available. For more popular phones like the Moto G6, there are plenty of options available but for older or less popular devices it can be harder to find a case or cover. Have you ever been away from a charger when your phone ran out of power or just want to make sure you're never stuck with a dead phone? An external battery pack is an easy and convenient way to keep your phone charged and ready no matter where you are. Acting as an additional battery that you can charge your phone or other devices from, an external battery is the perfect gift idea for anyone who spends time in the outdoors, or tends to forget to keep their phone charged. External battery packs come in a variety of sizes and storage capacities, with most smaller than a phone and capable of charging a phone several times. The Anker Powercore 10000 is one great option that is small and portable and will recharge most phones 2-3 times. View the Anker Powercore 10000 on Amazon for price details. Or, for the truly outdoorsy people in your life, take a look at this Solar Powered Charger from Hilucky Outdoor on Amazon. For Tracfone users, extra airtime is always convenient and a very practical gift idea. There are a number of different airtime card amounts, and some cards that are specifically for smartphones. Tracfone airtime cards can often be found in most retail stores such as Target and Walmart. 60 Minute Card for $20 adds 60 minutes to any Tracfone devices and 90 service days. Doubles or Triples on eligible devices. $20 Smartphone Only Card adds 300 talk minutes, 1000 texts and 1000 MB data, 30 service days. Look for airtime cards in store or on the Tracfone website. And view our post on the Best Deal on Tracfone Minutes to learn which cards are the best deal. If you're not really sure what the latest game or online app the kids are playing a gift card can be a good option and let someone get what they really want. A gift card for Google Play store or Apple App store allows users to purchase apps or games. Amazon gift cards are also a great option as you can get anything from movies, apps, games, toys and more. Some of the best accessories for a smartphone are headphones or portable speakers and there are plenty of great options available. The Panasonic in-ear headphones have surprisingly great sound while also significantly reducing outside noises. These are small, yet powerful headphones at a great deal. For headphones with sound and noise cancelling, consider the Bose Soundlink around ear headphones which can connect to your device wirelessly and includes a long lasting rechargeable battery. When it comes to speakers, there are many options ranging from small and portable, to large and powerful. Adventurous music listeners will find the JBL Clip 2 perfect for attaching to a backpack or belt while on the go and it has IPX7 Waterproof rating. The Anker Soundcore is a little larger, and more suited to causal gatherings indoors or out. It has 24hrs of playback time and connects to any smartphone via Bluetooth. A common issue many smartphone users have is running out of storage space. And with most of Tracfone's smartphones only featuring 16 GB internal storage, using a MicroSD card for external storage is a necessary option. External storage is great for adding music, videos, podcasts or more. Most smartphones accept at least 64 GB additional storage, but double check with your model. The Samsung 64GB MicroSD Card is a popular option that comes with an SD card adapter and is at a great price. Most smartphones come with pretty good cameras but they are limited by the lens already built into the phone. However, there are a number of lens attachments which can change the view to make it wide-angle, telephoto or even macro! This Camera Lens Kit on Amazon offers a variety of different lens options to try out on your phone. If you're looking to improve your photos don't miss our Guide to Better Cell Phone Photography. Our final gift idea is a popular choice these days that packs a huge number of features and convenience into a device that fits on your wrist and acts like a watch. Smartwatches, paired with a smartphone, allow users to answer phone calls, send texts, check notifications and more without touching their phone. Many are also waterproof, for those with active lifestyles, and provide exercise and heart-rate tracking. That concludes our gift guide for 2018! We created this to offer inspiration and ideas for popular gifts in 2018 and we hope it was useful to you! Leave a comment below if you have any thoughts or questions. Learn 4 Ways to Check your Airtime Balance including ways to check it from your phone or a computer. And take a look at Tracfone Promo Code List which includes codes for extra minutes on almost every airtime card! Finally, don't miss the best Deals Discounts and Sales on Tracfone Devices and Minutes. Black Friday has become the biggest shopping event of the year and is also lasting much longer than a day with online deals already rolling out form many major retailers at the beginning of November. 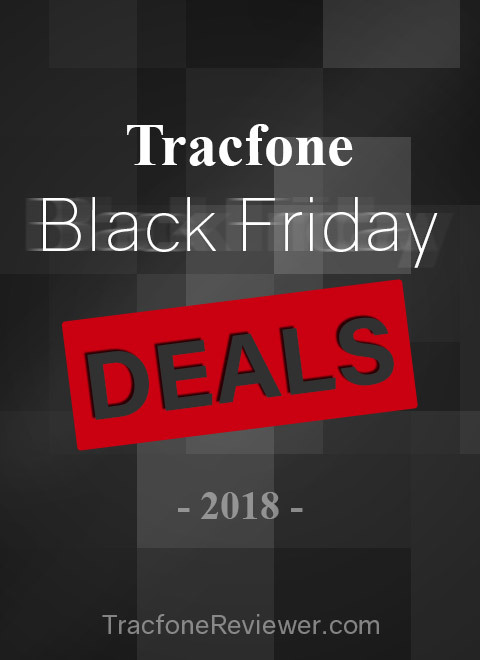 We are gathering the best Black Friday deals for Tracfone with deals on smartphones, airtime bundles, and more! Most deals are available online from many major retailers and we will continue to update this as more deals roll in! Also included in this list are deals on unlocked phones to use with Tracfone BYOP as well as other related sales and deals! If you're looking for the latest phones from Tracfone, see our Latest List of Tracfone Smartphones 2018. And if you want to learn more about how Tracfone prepaid service works, take a look at our Beginners Guide to Tracfone. We expect a number of deals available on Tracfone smartphones such as the LG Rebel 4 and Samsung Galaxy J7 Crown. We might also see some deals on the Tracfone Moto G6. Several retailers have yet to release their Black Friday listings, and we will add more as it becomes available. We will be adding more retailers as we find them and they release their Black Friday deals. We will also add specific deals below each retailer as they become available. Leave a comment below with any deals you find and want to share, or if you have any thoughts or questions. Also join us on Facebook for deal updates and more! See Four Ways to Check your Tracfone Airtime (including several bonus options) or learn how to Make your Airtime Last Longer! And finally don't miss out on 8 Cell Phone Photography Tips for Improving your Pictures. 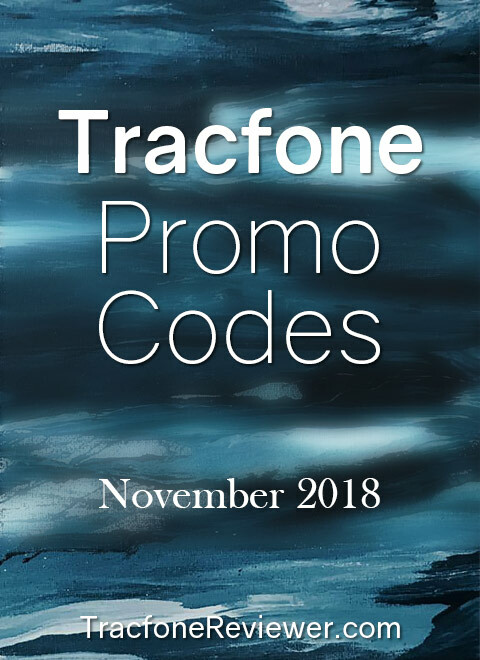 Welcome to TracfoneReviewer, with the latest news, reviews and Tracfone promo codes! The Galaxy J3 Orbit features a modest 5" HD touchscreen, Android 8.0 Oreo, an 8 MP camera and octa-core processor. It also has 16 GB internal storage and 2 GB RAM. The J3 Orbit follows it's predecessor, the J3 Luna Pro, which was released last fall, with a number of similar features while also getting several important updates. We see the J3 Orbit has the same size screen and internal storage, but updated OS, processor and more. Tracfone continues to release new devices for the fall 2018, with a number of new phones already available such as the J3 Orbit's big brother, the J7 Crown, and also several Motorola devices like the Moto E5 and Moto G6. Keep up with all the new phone releases on our List of the Latest Phones from Tracfone. The new J3 Orbit brings some nice updates, like the octa-core processor which is better equipped for handling multitasking and more demanding operations. But we do see some possible limitations when it comes to the internal storage at just 16 GB, and actually less available to the user. There's no doubt that Samsung's new budget phone is a solid performing device, the company is generally know for excellent smartphones, yet is it worth the price tag with Tracfone releasing the Moto G6 that features 32 GB storage and other updated features? We will look into this and more, but first, the full list of features. Samsung Electronics is a multinational company based in South Korea and the second largest information technology company behind Apple. They are the largest manufacturer of mobile phones, with the Galaxy line being their most popular and the Galaxy S9 their most recent phone. The Samsung Galaxy Orbit is designed as a budget device but it still retains some of the classic Samsung styling from higher-end devices and the specs should keep up with moderate smartphone users who want to run a variety of apps and maybe some games. The screen on the Galaxy J3 Orbit is just 5" with HD resolution (1280x720), which is small by current standards, yet not everyone prefers a large phone and this smartphone actually fits in smaller hands quite comfortably. Brightness and clarity are both good, and the screen has Gorilla Glass protection to limit the chance of cracks or scratches. The J3 Orbit is limited to 16 GB internal storage, with just over 8 GB actually usable (about 7.5 GB is used by the OS and pre-installed apps). For users who like to have a variety of apps or keep media on their device, the only option may be the MicroSD card slot which allows up to 400 GB additional storage. For the processor, we see a 1.35 Ghz Octa-core processor (Exynos 7884A) with 2 GB RAM that will be able to handle typical daily smartphone usage, but isn't the best suited for more demanding tasks such as running some games or resource intensive apps. The internal specs aren't exactly inspiring, but they also hold up well for low to moderate users. While the rear camera is just an 8 MP shooter, it does take nice pictures in good lighting. Samsung devices are well known for their capable cameras and the J3 Orbit's rear camera also features LED flash and auto-focus. On the front we have a 5 MP camera good for shooting selfies. Learn How to Take Better Pictures on your Cell Phone with our list of 8 tips. In many cases, just using a few of our tips will lead to much better photos versus buying a new phone with a better camera! Battery life is quote good with the J3 Orbit, despite a smaller sized, 2600 mAh battery. But thanks to the efficient processor, and certain operating system improvements, battery life is about 19 hrs talk time, and over 21 days on standby. The battery is non-removable. If you do find yourself running out of battery life quickly, there are a handful of tips you can use to make the battery last longer, including dimming the screen, setting the phone on airplane mode, and turning on darkmode for any apps that support it. It is always important to run the most recent Android Operating System to maintain good performance and security, and the Galaxy J3 Orbit comes with Android 8.0 Oreo. This version includes a number of graphical design changes over previous versions, and some performance upgrades to help increase battery life and more. Remember that Tracfone smartphones are not able to get OS updates, so this phone will keep Android 8.0. For some great app ideas, check our List of the Best Android Apps for all kinds of situations. With a matte back and slick overall design the Samsung Galaxy J7 Crown is a nice looking phone at a small and convenient size. The power button on the left and volume on the right side of the phone, and it features both a headphone jack and micro USB charging port. This phone features some nice upgrades from the previous model, while maintaining the same size. It is unfortunate that it does not improve beyond 16 GB storage, which is a little low for many users. 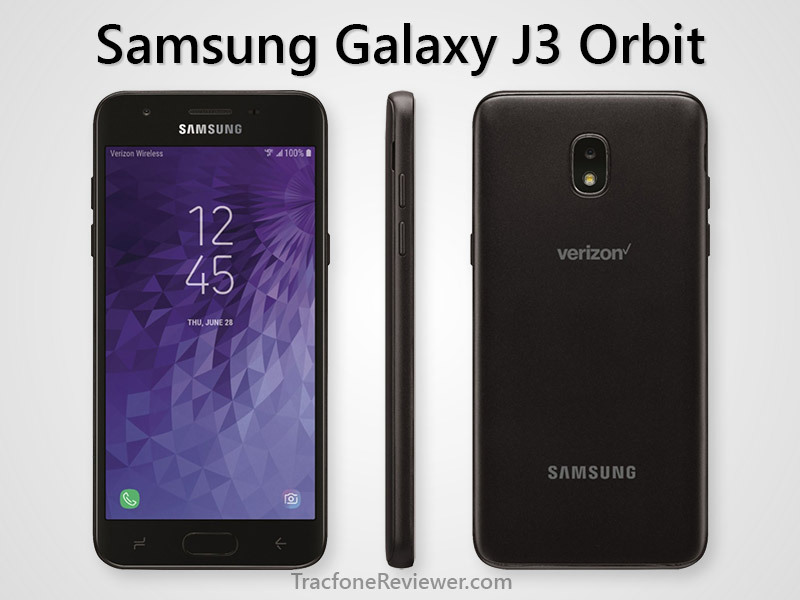 Overall we find the Galaxy J3 Orbit to be a very capable and nicely designed phone, but at the price, there may be better options. The LG Rebel 4 is a very similar device, with the same size screen, same OS version, same RAM and internal storage, but the Rebel has only a quad-core processor. However, the Rebel is also much cheaper, with it likely available for Black Friday for just $49. Another comparable smartphone is the Moto E5 which has similar specs for RAM, storage, camera and OS, but with a larger 5.7" touchscreen and it is available for $99. While the Galaxy J3 Orbit is a solid smartphone in both performance and design, there are several other competitively priced smartphones also available that we would probably choose for the lower cost. The Orbit is available from several online retailers for around $150. For additional resources and information, take a look at the J3 Orbit Online Tutorial and the User Guide. 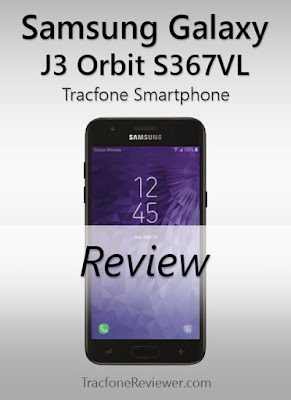 This concludes our review of the Galaxy J3 Orbit from Tracfone. We hope this information is useful, and please leave a comment below with any thoughts or questions. Check out our list of the Best Tracfone Smartphones in 2018 with several Samsung devices making the list. And learn how to make your Airtime Last Longer with 7 Tips including several data saving tips for smartphone users. Finally, keep up with all the latest news and information on our Facebook page. 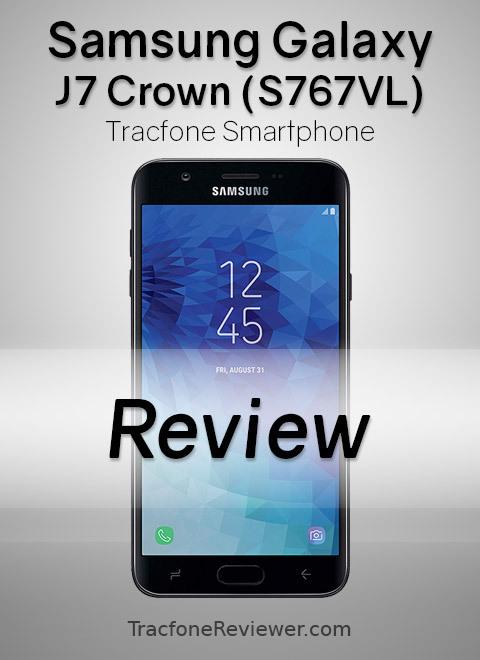 TracfoneReviewer has the latest news, reviews and Tracfone promo codes! Winter is starting to roll in but we've got fresh new promo codes waiting for November! Every month we collect and post the new promotional codes from Tracfone here for our readers. There is nothing to click or log into, just an updated list of codes. Tracfone releases these promotional codes for their customers to use on both 'dumb' phones and smartphones. To use a code, simply add it in the 'promo code' box when buying an airtime card, or have it ready when adding over the phone. Below we have promo codes for both regular airtime cards and smartphone only cards. Some codes are one time use while others may be used multiple times. We keep this list with just the newest codes for November, but have many more options on our main, Tracfone Promo Code page. Tracfone has just released several new phones, like the Samsung Galaxy J7 Crown and the Moto G6, which features 32 GB internal storage and a 5.7" screen. Learn more about this phones by following the link, or visit our List of Latest Tracfone Smartphones (2018). Now let's get to the list of codes! Promo codes are for use with a specific card, but some may be used with cards of greater value as well. These codes are each for a specific airtime card. Note - some readers are reporting getting an 'expired' notification when using some of these codes. We are looking into this, and not sure why they wold appear expired. These are the latest codes for November 2018 and we hope they worked for you! Leave a comment with any thoughts, questions or which code you used. See our list of the best Tracfone Deals, Discounts and Sales from around the web. Join us on Facebook with our growing community of over 3000 and send us a message if you have specific questions. Looking for info on how Tracfone works? Check our Beginners Guide to Tracfone which includes a lot of helpful details on the different options available. And don't miss out on How to Make your Airtime Last Longer including several data saving tips! 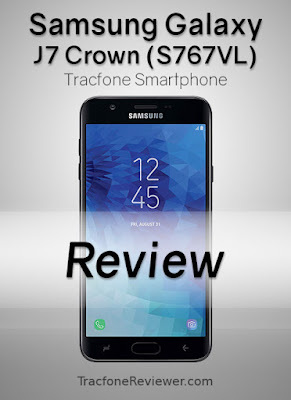 TracfoneReviewer shares the latest news, reviews and Tracfone promo codes! The Moto G6 might be one of the most anticipated smartphones released by Tracfone because of the great combination of features and price and it is now available. Featuring a 5.7" full HD touchscreen, dual rear cameras, Android 8.0 Oreo and excellent battery life, the Moto G6 towards users who want a powerful everyday device at a reasonable price. The most desired features might be the 32 GB internal storage and 3 GB RAM to go along with an octa-core processor. Many of our readers have long been asking for Tracfone to release a budget friendly phone with more than 16 GB storage and Tracfone has finally listened. Tracfone has also recently released several other smartphones including the Moto E5, Samsung Galaxy J7 Crown and LG Rebel 4, but all of these phones only have 16 GB internal storage. 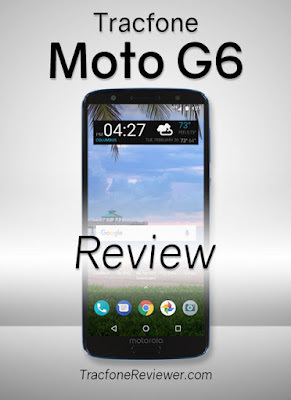 There really is a lot to like about the G6 which makes sense, it is, after all, in the 6th iteration in the popular Moto G line and Motorola has perfected the phone year after year. Many of our dislikes about the Moto G6 are minimal, such as the glass back instead of a higher end aluminium back cover. (However, many high-end devices are featuring glass-backed designs). For Tracfone BYOP users, the unlocked Moto G6 has been a popular option since it was first released in mid-2018 and the unlocked version can be used with either GSM or CDMA networks. For users who don't want to deal with the BYOP program, they can now get the Moto G6 directly from Tracfone. Let's look at what this phone comes with. Many Tracfone BYOP users are very familiar with the Motorola brand as it has released a number of low cost unlocked phones capable of being used with Tracfone going back to the original Moto G.
Based on the specs sheet, the Moto G6 appears to continue this trend but let's take a closer look in our full review. The 5.7" IPS LCD touchscreen on the Moto G6 has a generous resolution of 2160x1080 for a pixel density of 424 PPI. This basically means the screen looks sharp and clear and it is one of the highest screen resolutions for a Tracfone smartphone in this price range. The phone also uses the popular 18:9 screen ratio. Corning Gorilla Glass 3 protection keeps the screen safe (and the back panel too) and the phone has good max brightness for viewing outdoors. The phone does not have a notification LED, instead it will display the time and any notifications on the screen when it receives one or when it senses a hand movement. As we mentioned above, the Moto G6 is the first phone from Tracfone with 32 GB internal storage and 3 GB RAM at this price range. Our readers, and many Tracfone users, have requested for some time that Tracfone would increase the storage and RAM on the budget phones. The additional RAM helps the phone run multiple apps and web pages more effectively. Extra storage is also available via a MicroSD Card slot next to the SIM card slot. The 1.8 Ghz octa-core Qualcomm Snapdragon 450 is well suited for many demanding apps and games but it isn't as powerful as processors in some more expensive smartphones. The Moto G6 has dual rear cameras with a 12 MP (f1.8) and a 5 MP (f2.2) setup. The 12 MP sensor has phase detect auto focus while the 5 MP camera is used for depth to create 'Portrait' style blurred backgrounds. Also included on the rear cameras are dual-tone LED flash. Image quality is pretty good overall, but isn't up to the same performance as more expensive smartphones. The included portrait mode allows for adjustment of the blurred background for a nice 'DSLR' photo effect. On the front is an 8 MP (f2.2) selfie cam with fixed focus and LED flash that performs well enough for snapping pictures of yourself or friends. Video capability on the G6 is alright, with 1080p capture at 30fps and no 4K. Motorola has long been known for focusing on great battery performance on their budget phones with several of them lasting up to two days on a single charge. The Moto G6 doesn't quite reach those performance standards partially due to the average sized 3000 mAh non-removable battery. It has about 21 hrs talk time and 14 days standby which puts it in the middle of the road as far as battery life compared to other Tracfone devices. This phone does include fast charging capabilities with the included charger, for almost 50% charge after 30 minutes. Many cell phone manufactures who use Android as their phone's Operating System will modify ti or include a number of their phone apps. But Motorola has released the Moto G6 with a nearly stock version of Android 8.0 Oreo and only a few extra apps such as the camera app. This reduces the clutter on the phone when first getting started and allows users to have more say about which apps they want to download and use. For some app ideas, check out our List of the Best Apps for Android. Tracfone doesn't provide OS updates for Android, so whatever version the phone comes with it will have to keep for the life of the device. Thus it is generally a good idea when shopping for a new phone to keep that in mind and purchase a phone with the latest OS. With an aluminium frame and glass back panel, the Moto G6 follows the trend of many high-end smartphones. However, we can't help but feel like this might make the phone more fragile, and glass panel on the back does sound a little hollow. The fingerprint reader is located at the bottom of the front screen and can also be used for basic screen interactions like back, home and open Google Assistant. While the phone does not have a waterproof rating, Motorola does list it as Splash Resistant which should keep it safe from minor interactions with the elements. The Moto G6 looks good, and performs well and despite a few minor drawbacks such as mediocre battery performance, it is a great value for the price. Compared to the Samsung Galaxy J7 Crown which was also just released, the Moto G6 outperforms it in most categories despite the two phones sharing a similar price point. We would also recommend the Moto G6 over the LG Stylo 4 (unless the large, 6.2" screen on the Stylo 4 is a key feature for you) because the G6 has twice the internal memory, more RAM, better processor and better camera. For users who are looking to spend less, consider the Moto E5 which Tracfone also recently released. It also runs Android 8.0 and has the same sized screen, but less storage, RAM and lower quality camera. The Moto E5 is available between $100-120. For Tracfone users looking for a dependable upgrade from a previous Tracfone smartphone, the Moto G6 is a top option at a great price. For the newest releases, visit our List of Latest Tracfone Smartphones. The Tracfone Moto G6 is currently available from several online retailers, with the best deal including an airtime bundle from HSN. We will add more links as the become available. Tracfone users can also buy an unlocked Moto G6 and use it with the Tracfone BYOP program (either GSM or CDMA). One of the benefits of doing this would be the unlocked G6 still receives OS updates from Motorola. That concludes are review of the Tracfone Moto G6. We hope you found this information useful. Leave a comment below with any thoughts or questions. Learn all about How Data Works with Tracfone (and how to buy data only cards) or check out our 7 Tips for Reducing How Much Airtime you Use! Also see our Guide to Improving your Cell Phone Photography with 8 Tips. Keep up with the latest news and review on our Facebook page. 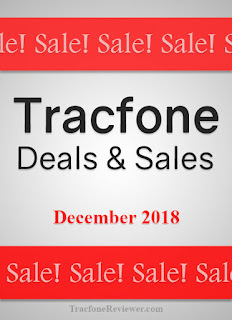 Be sure to take a look at our List of Tracfone Deals, Discounts and Sales for the latest bargains. 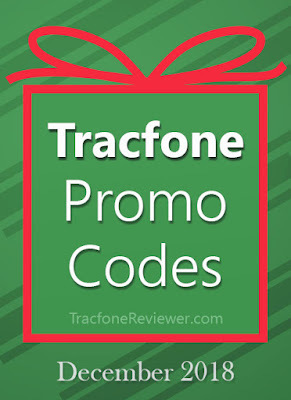 Welcome to TracfoneReviewer with the latest News, Reviews and Tracfone Promo Codes! Tracfone continues to roll out new smartphones for the fall of 2018 and the latest is the Galaxy J7 Crown which brings a 5.5" touchscreen, 1.56 Ghz Octa-core processor and 13 MP front and rear camera. Deal Alert! 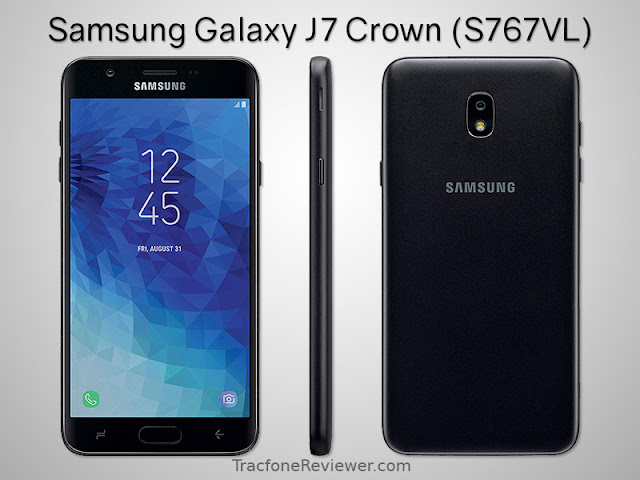 The J7 Crown is currently available for $99 on Amazon. The J7 Crown is the first new Samsung phone from Tracfone we've seen in quite some time and replaces the previous generation, the Galaxy J7 Sky Pro. The New J7 Crown keeps the same size screen as the J7 Sky Pro, but with an increase in quality, and has the same amount of RAM and internal storage. We have seen Tracfone releasing a number of new phones recently including the LG Stylo 4, Rebel 4, and the Moto E5 and Moto G6. After relatively few new phones during the summer, it is good to see Tracfone providing consumers with a variety of options. Keep track of all the new phones with our List of the Latest Tracfone Smartphones (2018). Let's look at the pro's and con's for the J7 Crown. With any budget smartphone, there are always some corners that the manufacture will have to cut to keep the price down and in the case of the new J7 Crown, that included the RAM and internal storage which seems to be a trend for Tracfone smartphones. Yet the 13 MP camera is an attractive feature, as well as the energy efficient processor that helps the J7 Crown maintain a pretty good battery life. And the HD touchscreen is also a highlight with a bright and clear display. So is it worth the somewhat hefty $200 price tag? 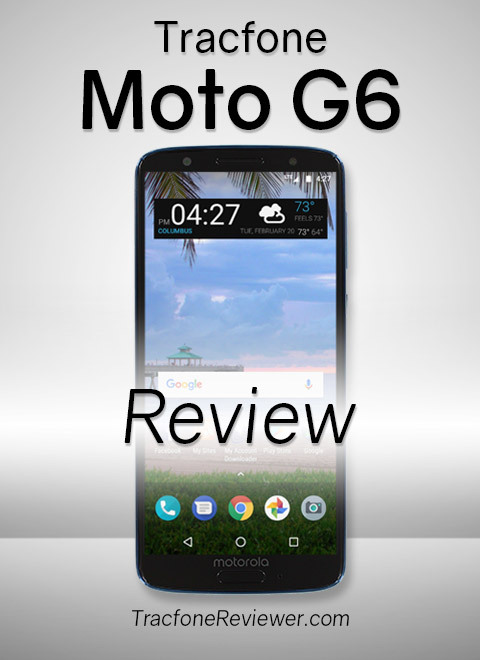 That's what we will look into in this review as well as compare it to other popular options currently available like the LG Rebel 4, Moto G6 and Moto E5. Time for the full list of features on specs on the S767VL J7 Crown. Many consumers are familiar with the Samsung brand as they are a global manufacture and the largest consumer electronics maker (by revenue) in the world. They are based in South Korea and have a broad lineup of smartphones with their high end device, the Samsung Galaxy S9, a contender for one of the best phones in the world. The Galaxy J7 Crown does get some of the classic design elements of Samsung phones with a familiar layout for the charging and headphone ports and it also features a Super AMOLED screen which gives deeper colors compared to other screens. Now let's get into the details with our review of the Galaxy J7. The J7 Crown comes with the same size screen (5.5") as the previous model (J7 Sky Pro) but improves on the overall quality with deeper colors and better outdoor view-ability. The J7 Crown's screen has HD resolution (720x1280) with about 267 dpi for a fairly crisp display. This phone does not have an automatic light sensor to dim/brighten the screen depending on the conditions but not many devices in this price range include that. The one highlight for the J7 Crown when it comes to internal specs is the 1.56 Ghz Octa-core processor (Exynos 7884) which provides a great balance between performance and efficiency and goes a long way in helping the device maintain a good battery life. The Galaxy J7 Crown also has the standard 2 GB RAM and 16 GB internal storage that almost all of Tracfone's recent smartphones offer. For some users, this just isn't enough internal storage. You can add up to 400 GB extra storage via microSD card. Somewhat unexpectedly, the Galaxy J7 Crown features both a 13 MP rear camera AND a 13 MP front facing camera. The rear camera has autofocus, LED flash and a number of other features while the front camera is fixed focus but also has flash. This phone is also capable of capturing full HD video at 1080p 30fps. A 3300 mAh battery combined with the efficient processor helps the Galaxy J7 achieve good battery performance of 24 hrs talk time and 27 days on standby. Practically speaking this phone should last through the day with a full charge for low to moderate use without any issues. The battery is non-removable in this device. Android 8.1 Oreo, which is included with the Galaxy J7 Crown, brings a number of graphical changes and performance improvements over previous versions. It is used by most Android phones at this time with the newer, Android 9 Pie, currently in the works and not expected to be released for a little while. Tracfone doesn't update the OS on their smartphones, so it is always a good idea to buy a phone with the latest Android version when possible to avoid possible security issues. There are several other Tracfone smartphones now with Android 8.1 including the LG Rebel 4 and LG Stylo 4. Check out our list of the Best Android Apps for Tracfone for some great options to use with your smartphone. Tracfone has stopped including Triple Minutes for Life with the phones they release but they are offering to triple airtime added at activation for some phones. We don't have all the details on this but have heard from some sources that smartphones with airtime bundles from HSN/QVC are getting tripled when activated. Learn more about Tracfone Ending Triple Minutes for Life. With a matte back and slick overall design the Samsung Galaxy J7 Crown is a nice looking phone at a very popular size. It has the power button on the left and volume on the right side of the phone. The Samsung Galaxy J7 Crown is a nice upgrade over the previous version although it keeps the same screen size, RAM, and internal storage. But what you do get is updated Android OS, better screen quality, a better processor and camera. The lingering question we have is, does that make it worth the $200 price tag? It is hard to say with options like the Moto E5 also recently released by Tracfone which has a larger screen size, same RAM and internal storage, but is listed at $99. And with the Moto G6 now also available from Tracfone, which has a larger, 5.7" full HD screen and 32 GB storage, 3 GB RAM and dual rear camera, it would be hard for us to choose the Galaxy J7 Crown over the Moto G6. The Crown does have a larger capacity battery, and a number of signature Samsung touches from the design to the additional Operating System features. The Galaxy J7 Crown is also available on the Tracfone website for $149 without airtime bundle. For more information on the Galaxy J7 Crown check out the interactive tutorial and the user guide. This concludes on review of the J7 Crown. We hope this information is useful and please leave a comment with any thoughts or questions. Join us over on Facebook for the latest news and posts or send us a message for more direct help questions.